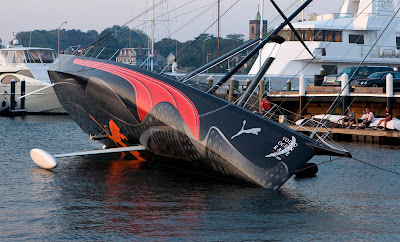 PUMA Ocean Racing, il mostro goes through its Incline Test. 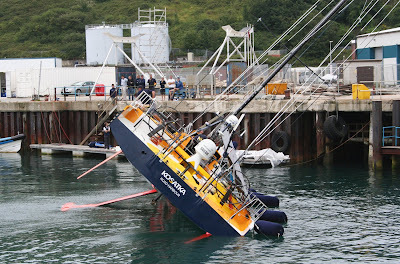 The keel is fully canted to 40 degrees as a required test for the hydraulic ram system. Team Russia's Kosatka is out through its incline test training at their training camp in Portland, UK.